New Delhi June 5 (WFS) — Climate change is a reality that no one can refute any longer. If left unchecked, it will have far reaching impacts on human health, global food security and economic development. Whereas no single country causes climate change, and no one country can stop it, there is an urgent need for concerted action. As the world gets ready to mark yet another World Environment Day, we pick out five women-led campaigns/initiatives from our archives and see how they are trying to make a difference. 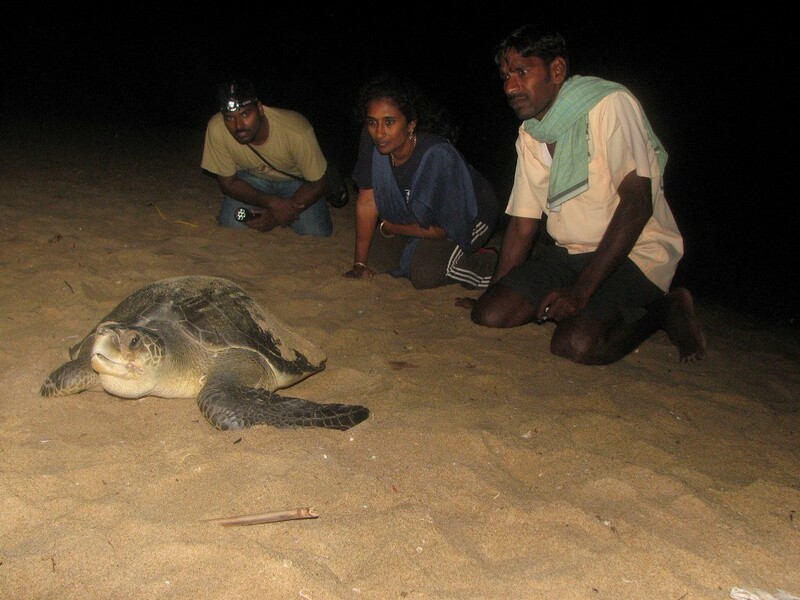 During the nesting season of the Olive Ridley turtles, from January extending up to May each year, if you head towards the Coromandel Coast in Chennai at nightfall, you may find an eclectic bunch of people – school and college kids, lungi-clad fishermen and white collar types – patrolling the beach. Why? Because even though this species of sea turtle is hardy, it needs protection. Plastic garbage strewn on the beach that can choke the turtles, lights from the nearby farmhouses and vehicles plying on the East Coast Road, which lures them on to the roads where they get crushed under the wheels, or the wiry bushes that entangle them are some of the threats they face. But how has turtle conservation become such a priority for the citizens of Chennai? For this one can credit artist-conservationist, Dr Supraja Dharini, the woman behind this ‘save the turtles’ mission. It was a dead turtle she noticed during a walk on the Neelangarai shore that compelled her to do something. The sight of the dead turtle brought back famous environmentalist Jane Goodall’s words she had heard on TV:’Each and every individual can make a difference’. Dharini set up the TREE (Trust for Environment, Education, Conservation and Community development) Foundation in October 2002, which works to bring about an awareness and commitment to protect nature by educating people in environmental protection. It’s Dharini’s efforts that have brought together a city youngster like Robin, who is preparing for his IAS exams, and fishermen like T.A. Pugazharasan, to work together for a common cause. Groups of women across several remote villages in the Sundarbans Delta of South 24 Paraganas in West Bengal have added one more task to their long list of daily chores. Besides cooking, sending their children off to school, taking care of the family and keeping their mud huts tidy, they get together to plant mangrove trees in the area to create green embankments that would prove crucial not just to their survival but for their ecosystem as well. The inhabitants of this rich but vulnerable delta region, who, till just a few years back, were cutting the mangroves and sundari trees to clear the land for agriculture and other livelihood, today realise that ‘Bishsho Ushnayon’, the Bengali term for global warming, will drastically change their way of life forever, as the slowly rising sea levels start engulfing the islands. 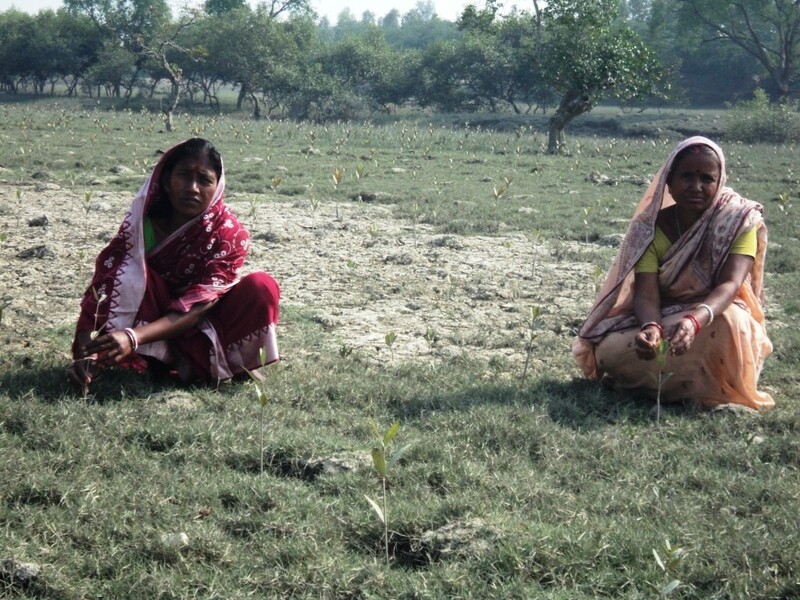 remarks Sushmita Bera, who organises mangrove plantation drives in a few vulnerable villages. What has given their effort a fillip is support from government and non-government agencies that are aggressively promoting the re-plantation drives through the enforcement of the Mahatma Gandhi Rural Employment Guarantee Act (MGNREGA). Not only are the women getting paid for rearing mangrove saplings, they are also getting 100 days of assured employment as they plant them. says Maitri, the group leader of Ma Sarada SHG in Patharpratima block, whose 21 women members work together every morning to plant mangroves. Committed women brigades have planted more than five million mangrove saplings in the disaster prone areas. 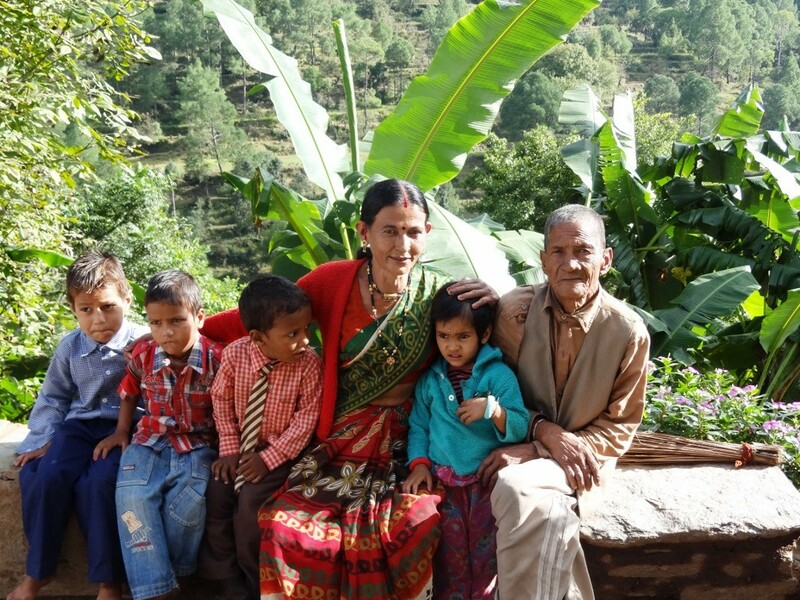 Munni Adhikari, a resident of Dhaura Gram Sabha in Lamgara block of Uttarakhand’s Almora district, is the spirited woman sarpanch of Dhaura Van Panchayat, which was constituted in 1932. It has been nearly a decade since she has been associated with the van panchayat (forest council) and the leader is convinced that only women’s presence on the nine-member council can help in real conservation. Truly, no one is as connected with the forests as the women here are. From the crack of dawn until last light, women in the far reaches of Uttarakhand make several trips into the jungles to ensure the sustenance of families and livestock. Today, however, their lives are undergoing a transformation triggered by climate change, a phenomenon they may not be able to name but can certainly describe in terms of seasonal variability and how it affects their existence and livelihood. Little wonder then that they are fiercely protective of their “natural lifeline”, making them ideal leaders for the Van Panchayats (VPs), which are responsible for reviving and nurturing civil forests. In 2013, parts of Uttarakhand saw the worst possible tragedy that could befall people on account of climate change and indiscriminate deforestation. says Kathy Walkling, the brain behind Eco Femme, an Auroville, Puducherry-based all-women group that produces and exports cloth sanitary napkins by the same name to 14 countries in the world. When she first came to Auroville in 1997, Walkling was taken aback with the lack of knowledge about menstrual hygiene among women as well as the improper disposal of pads. Loath to transfer the problem of collecting unsanitary garbage to someone else, she experimented with making reusable cloth pads and sewed a few for her personal use. At the same time, she points out, these sanitary pads guarantee a toxin-free period. Most disposable pads are made from low-density polyethylene plastic polymers, bleached wood pulp and super-absorbent polymer gel that can take up to 800 years to decompose. Apart from being environment-friendly, the Eco Femme pads also help women save money. Use of a single cloth pad is equivalent to 120 disposable tampons or pads over a five-year period. Like Walkling, the duo of Sambodhi Ghosh and Jaydeep Mandal also make the inexpensive, compostable Anandi pad. By collaborating with the Council of Scientific and Industrial Research (CSIR) and the National Innovation Foundation (NIF), Aakar Innovations, the social enterprise floated by Ghosh and Mandal has devised a machine that produces bio-degradable sanitary napkins from agri-wastes such as banana fibre and bamboo. At present, Anandi pads are being produced at 12 units across rural India, with expansion plans for another 50 within the next year, offering a sustainable source of income for 600 women and an eco-friendly menstrual product to 1,50,000 rural women. An energy-efficient home is the new buzzword among those who want to reduce their carbon footprint on Planet Earth. Among those in the forefront of this change are some leading women architects, who are designing and building eco-friendly homes that are comfortable, easy to maintain, reduce energy related greenhouse gas emissions, and are more easy on the purse in the long term than conventional homes. explains Bangalore-based architect Chitra Vishwanath, 47, who alone has been responsible for designing and constructing over 600 eco-friendly houses in and around her city. 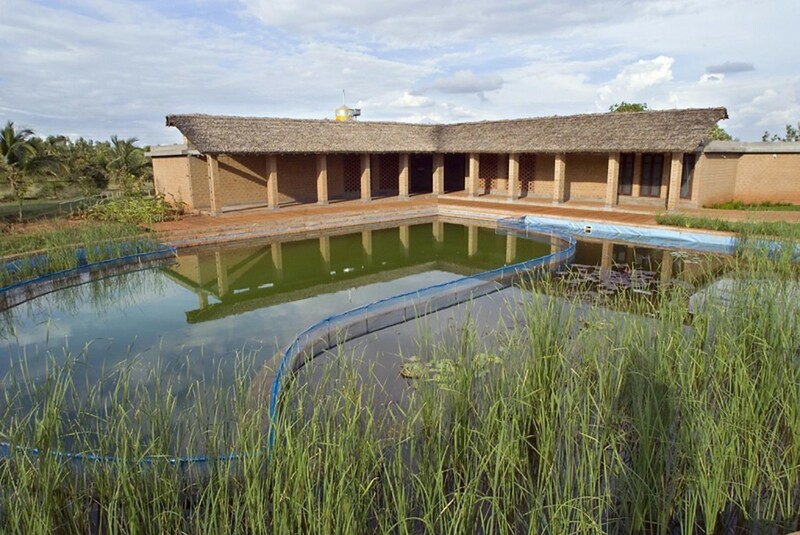 Eco-friendly structures mean using local materials, local skills and imply low-technological dependency. None of these buildings are more than two or three floors high and so power is not consumed for running lifts, for instance. Most of these buildings are made up of soil stabilised blocks, Balipatnam bricks (solid and hollow), stone masonry, tiled roofs and recycled wood. They also use biogas. Their materials include natural stones and clay tiles for the flooring. They function on solar and wind power to run fans and power the LED bulbs for light. Each one of them has a rainwater-harvesting facility as well as infrastructure to recycle the garbage. And because of good cross-ventilation through large windows and doors, these abodes don’t require air-conditioning during punishing summers. Cost wise, some of these eco-homes may not come cheap. But while many a time they are more expensive to construct, they could prove much cheaper to maintain in the long term. Previous: The philosophy of the Soldier Mountaineer Colonel Narinder Kumar ‘Bull’!